TNR involves humanely trapping feral cats living in cities, towns and rural areas and transporting them to a veterinary clinic where they are spayed or neutered. They may also receive a health check, vaccinations, and can be treated for routine medical conditions. After surgery, the cat recuperates for a day or two and is then returned back to his colony habitat where caring individuals provide food, water and shelter. 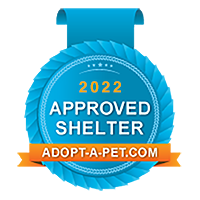 (Kittens and tame cats are moved into foster homes where they are loved and nurtured until they are well enough to be adopted.) Since the cats are no longer reproducing, the colony will gradually diminish in size. By reducing or eliminating mating, fighting and wandering, TNR makes the colony more stable, impacts the influx of newcomers, and improves the health of the cats. Why Does Trap and Kill Not Work? Many animal control agencies will tell you that trap and kill is the only way to control the unwanted cat population and they have proceeded to kill all feral cats that they can. The fact is that after almost 100 years of killing there are still feral cats. Isn't that proof enough? Why doesn't it work? Removing cats from an area only allows another colony to move into its place in order to take advantage of the food source that once supported the first colony. Essentially you would have to trap and kill everywhere, all at once, to catch all the cats. The TNR option allows you to stabilize one area at a time. Once the cat population of a colony is stabilized, the colony will defend its territory and keep other cats from moving in. Working one area at a time allows you to clean up entire regions, and someday the entire state, because all food sources will be utilized for sterilized cats. To many people, killing the feral cats is not acceptable. Many people, especially the elderly living alone, welcome the company of the cats each day. Others rely on the cats for rodent control in places such as on farms, behind restaurants where dumpsters are located, and houses backing to wooded areas. Without a trap, neuter and return program these people have no alternative but to let the cats continue to breed. They catch a few kittens from each litter and give them to the animal shelters to be rehomed. What they don't realize is that more than 50% are destroyed after five days. TNR works only if entire colonies are stabilized. Trapping 95% of the cats in a colony will not stabilize the colony. By stabilizing entire colonies at each food source, ultimately all food sources will be used for sterilized cats. Unsterilized cats without food sources will not survive. All sterilized cats have tipped ears. This makes it possible for caretakers to differentiate between cats that have already been sterilized vs. the ones that have not been sterilized yet.